Nordic colocation service provider DigiPlex has opened an additional server hall in its Stockholm data center. 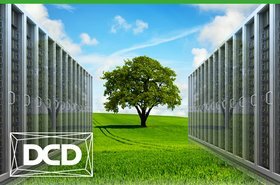 DigiPlex specializes in environmentally efficient data centers. The company says this expansion is aimed at customers who want to use one or more server racks powered by renewable energy. Digiplex runs data centers powered by 100 percent renewable electricity, with sites in Sweden, Norway and Denmark. The Stockholm site is connected to the local district heating system, providing hot air to warm 10,000 apartments using waste heat from the data center. The colocation company's Oslo site also provides hot air for locals using waste heat. The 280,000 sq ft (26,000 sq m) Stockholm site is powered by 40MW of electricity from 100 percent renewable hydro and wind sources. The facility was built in 2016 and house the infrastructure for Netnod, Sweden’s Internet exchange. “In our new hall, we can deliver a secure, safe and climate-smart IT environment within 1–2 days for customers with smaller demands,” says DigiPlex CEO Gisle M. Eckhoff. Last year one of DigiPlex's data halls was taken offline when a fire suppression system was triggered. As a result of this Helsinki’s Nasdaq Nordic stock exchange was closed until 4pm that day, halting trade in Copenhagen, Helsinki, Reykjavik, Riga, Stockholm, Tallinn and Vilnius. 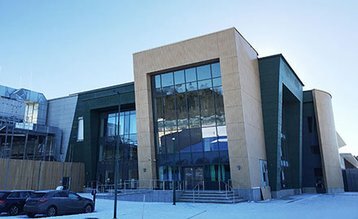 The data center’s backup system should have kicked in immediately, but according to Maria Rekola of Finland’s Financial Supervisory Authority, it took some time for this to happen.